This article is Part I of ‘Understanding The Relationship Between Interest Rates & Exchange Rates’. The relationship between interest rates and exchange rates has been a highly debated topic among economists and policy wonks for decades. How do interest rates affect an economy? What is the difference between currency appreciation and currency depreciation? What causes exchange rates to change? How do exchange rate fluctuations affect a country’s economy? What is the relationship between interest rates and exchange rates? How does a country’s inflation rate fit into the interest rate/exchange rate model? …Often, but don’t know who to ask? We have taken a shot at answering these troublesome questions in this article. #1: To empower you with practical knowledge about these concepts. #2: To provide some tips and recommendations on how you can capitalise on this knowledge to make profitable economic and financial decisions for you and your family. Before we explore the complex subject of the interconnectivity between interest rates and exchange rates, let’s revisit some basic concepts that form the bedrock of economics and finance the world over. What Is ‘Interest Rate’ & How Does It Work? Interest is the amount charged by a lender to a borrower for using the lender’s asset/s, usually for a particular period of time. The interest rate then represents the cost of debt for the borrower and the rate of return for the lender. The interest rate is often calculated and charged on an annual basis. However, the period may also be daily, weekly, monthly or quarterly, depending on the credit agreement between the borrower and lender. The interest rate is applied to the principal amount and expressed as a percentage of the principal. What Is An ‘Exchange Rate’? How Do Exchange Rates Work? 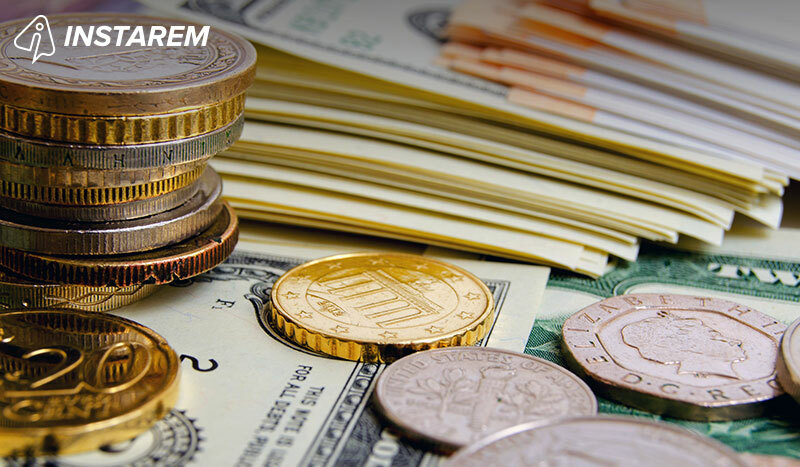 The foreign exchange rate (or simply exchange rate) is the value of one currency in relation to another. Thus, the relationship of each currency pair will be determined by a particular exchange rate. This relationship is stated as Currency 1/Currency 2, where the exchange rate shows the price of the first currency (the base) in terms of the second currency (the counter). For example, the currency pair of AUD-INR shows the exchange rate of 1 AUD in terms of 1 INR, i.e. how much 1 AUD is worth in terms of 1 INR. This value will be different from the exchange rate of the EUR-INR pair, which in turn will be different for the currency pair of USD-INR, GBP-INR, and so on. Fixed/Pegged: This happens when a country’s currency doesn’t vary according to the fluctuations in the open forex market because its government (i.e. its central bank) sets and maintains the official exchange rate at a fixed number. Floating: In the case of this ‘self-correcting’ exchange rate, the market forces of supply and demand determine the currency’s value with respect to other currencies. As with almost all goods, when demand for the currency is high vis-à-vis supply, its value will also be high. But when supply is higher than demand, its value will fall. Other phenomena can also determine whether a country’s currency will appreciate (rise in value) or depreciate (fall in value), including trade and investment, geopolitical stability, the country’s debt levels, its interest rates and even incoming tourism levels. Part 1: From a financial perspective, the type of interest levied normally depends on the underlying asset or loan (home, car, education, personal, etc). 1. What Is Simple Interest? As its name suggests, simple interest is the most basic type of interest charged on an asset. It is calculated only on the principal (i.e. original) amount of the loan and its rate does not change over the loan period. If you’re a borrower, look for a loan where you have to pay simple interest so your repayment burden is lower. 2. What Is Compound Interest? Compound interest is computed on both the principal and any interest already earned on the principal. Thus, rather than continuously adding a percentage of the same initial interest to the final amount as is done in simple interest, the percentage is applied to the most recent sum of principal and interest. First, the interest is calculated for the first year using the simple interest formula. This interest is added to the original principal amount to arrive at the new principal amount. For the 2nd year, the interest is now calculated on the new principal amount. This process is repeated for every year of the duration of the loan. Compared to simple interest, compound interest has a greater impact on both debt (borrowers) and earnings (lenders) and has, therefore, spawned the phrase ‘the power of compounding’. Compounding converts a nominal interest rate to an effective interest rate. Compound interest rates are often used for savings accounts and credit cards. If you’re a lender (investor), find an investment instrument (savings bank account, fixed deposit, etc.) that earns you compound interest so that your earnings over time are higher. Also, look for an instrument that yields monthly compound interest. In this case, earned interest is calculated every month and added to the principal before calculating the next month’s interest. This yields higher interest earnings than annual compounding. 3. What Is Amortised Interest? An amortised loan refers to a loan where the borrower has to make periodic payments of both principal and interest. The interest is calculated based on the most recent ending loan balance. Any payment in excess of the interest reduces the principal amount which then reduces the balance on which interest is calculated. Thus, the interest portion of an amortised loan decreases as more payments are made. Amortised rates are often used for home loans, personal loans and car loans. 4. What Is Fixed Rate Interest? A fixed interest rate is pre-determined by the lender and stays the same over the agreed-upon life of a loan. Since the rate is unaffected by market fluctuations, this type of loan helps borrowers calculate their repayment burden in advance. The disadvantage is that if the borrower is affected by a market downturn, the fixed rate nature of the loan does not give him any flexibility to reduce his repayments or extend the loan repayment period. Thus, fixed-rate loans are low-risk when markets are doing well, but they are also low-reward when the market is not in good shape. Fixed rate interests are often applied to home loans, student loans, auto loans and unsecured personal loans. 5. What Is Variable/Floating Rate Interest? A variable interest rate loan allows a borrower to increase or decrease his interest repayment burden at any point during the loan period, usually depending on market fluctuations of some underlying interest rate. The risk/reward relationship is an important consideration for variable interest rate loans. If the rates rise, a borrower faces the risk of being less able to afford the repayments. However, if rates fall, he can benefit from the reward of more affordable repayments. Floating rate interests are often applied to home loans (mortgages) and credit cards. 6. What Is Prime Rate Interest? Prime rates are offered by commercial lenders to their best, most secure or most credit-worthy customers – usually large corporations. Although prime rate loans are normally business loans, the prime rate is used as a guide for computing interest rates for other borrowers, so it affects small business and consumer loans (home, personal) as well. 1. What Is Nominal Interest Rate? In simple terms, a nominal interest rate is an actual price a borrower pays to a lender to use their money. Thus, it is the stated interest rate of a given bond, deposit or loan. 2. What Is Real Interest Rate? Unlike nominal interest, the real interest rate states the rate a lender or investor actually receives after inflation is factored in. Inflation reduces the lender’s purchasing power so the nominal rate does not give a true representation of his returns. A fixed deposit provides a 6% nominal yield. The inflation rate is 4%. Therefore, the real rate of interest after factoring in the loss due to inflation is only 2%. Why Do Interest Rates Change? What Factors Are The Drivers Of This Change? For any country, the central bank (for example, Reserve Bank of India, Bank of England or Federal Reserve of USA) sets the baseline interest rate, i.e. the rate it charges on loans to banks. This rate, in turn, affects the interest banks charge individuals and business borrowers (and the prime rate banks charge their best customers). When the central bank raises interest rates, the cost of debt rises so borrowing becomes more expensive. This discourages people and firms from borrowing and increases firms’ input costs. This forces them to raise prices which then reduces consumer demand, increases unemployment and slows down the economy. At the same time, high interest rates make lending and saving more profitable, so more people invest their money in ‘safer’ instruments like fixed-interest bonds and bank fixed deposits. In addition to economic decisions taken by the central bank, the country’s inflation rate also affects its interest rates. When the economy is relatively weak, the central bank keeps interest rates low. This encourages banks to lend and individuals and companies to borrow. This boosts demand and consequently economic growth. As the economy gets stronger, inflation rises, hence, prices go up. To keep inflation at manageable levels (some inflation is considered ‘healthy’) and to prevent the economy from ‘overheating’, the central bank raises interest rates. Interest is the ‘price’ of money, so when interest rates are high, it indicates that borrowing is more expensive. This reduces the demand for money. If the economy is growing slowly, the central bank will try to boost growth and encourage people to borrow. To do this, it will lower the interest rates, which will increase the money supply and make borrowing less expensive. This will then boost the demand for credit. But if the economy is growing too rapidly, there is a risk of inflation, so the central bank will decrease the money supply by raising interest rates. Interest rates and unemployment rates are closely related. Lower unemployment suggests a strong economy. When unemployment is low, the demand for goods and services is high. This leads producers to raise prices, which causes inflation. To control inflation, the central bank raises interest rates, which reduces consumer demand and leads to a slowdown in economic growth. This increases producers’ input and borrowing costs and they are forced to take steps to reduce these costs, such as job cuts and outsourcing. Thus, higher interest rates may lead to increased unemployment. The level of government debt or spending can also affect interest rates. Excessive government spending can overheat the economy and reduce the funds available for other borrowers (consumers, businesses). This makes borrowing more expensive across the board and raises interest rates. In order to service its debts, if the government prints money instead of borrowing more from the central bank or a foreign ally; the money supply in the system increases and this reduces interest rates. However, since increased supply makes each unit of the currency less valuable, it also increases inflation. A country’s regulatory, equity and banking frameworks affect the level of funds available for borrowers. Regulations that prevent or curtail capital inflows or outflows can impact domestic interest rates. If foreign inflows are prevented from entering the country, domestic interest rates will be higher than they would be if foreign cash were allowed to flow in freely. If the economy is open to foreign investments and interest rates are high, it will attract more foreign capital inflows. This will – at least in theory – boost economic growth. When interest rates are high, more people save their money through financial instruments (such as bank deposits) to take advantage of the savings (interest) rate. At the same time, the stock market offers lower returns so it suffers from a paucity of investment (fewer investors investing less money). This could lead to a contraction in the economy. The opposite happens when interest rates are low: less money saved in instruments and more invested in the stock market, so a stronger corporate environment and thus a growing economy. A country’s exchange rate is also an important driver of its domestic interest rates (and vice versa). This factor is covered in detail in the next section. Read Part II: What Is The Relationship Between Interest Rates & Exchange Rates? What Is The Relationship Between Interest Rates & Exchange Rates?